I've never really believed in the singular notion of identity. I've always embraced the multiplicity of identity: That it's possible to be multiple people at once. When I was 18 I was diagnosed with Multiple Personality Disorder (MPD), likely because I was telling him about I was talking with faeries and spirits. Yet when I heard about this diagnosis, I was intrigued. Could I really be a multiplicity of me? Was I more than the singular perspective I had of myself? In the years since, I've embraced the multiplicity of myself, recognizing I didn't need to settle for one version of myself. In fact, I found that by purposely setting up multiple versions of myself, I could actually learn more and do more than if I stayed as a singular unit. Now I haven't yet mastered bi-location in the physical sense of the world, but a person's mind can be so much more than just the perspective of a singular entity. I found that the identity of a singular self is largely an illusion anyway. Whether we realize it or not, we really have multiple versions of ourselves within us. One version of yourself might come out for work to help you interact with co-workers and draw on your knowledge and skills. Another version might come out when you come home to spend time with your family. Yet another version will show itself when you hit the bar with your friends, or when your actively pursuing an interest. And when you're alone, yet another version pops up. Now you can tell yourself that all these versions are the same person, and you're right they are, but all these versions are also distinct, created in part to help you navigate the various situations you find yourself in. They operate on a subconscious level, like a program running on your computer in the background. What you can do is purposely choose to interact with these versions of yourself and put them to work in your favor. One of the ways I've done this is to create a version of myself that focuses on a specific subject area, such as neuroscience, or ceremonial magic. That self is responsible for cataloging and organizing all information about that topic area. When I need to draw on that information for writing or presenting or experiments, its immediately available. Aside from having versions focused on specific subject areas and disciplines, I also have versions of myself that are responsible for specific tasks, such as cleaning or driving. And over all of it, I have my identity, what faces inward and outward to the world. It makes sense to me and it allows me to process a lot of information quickly. 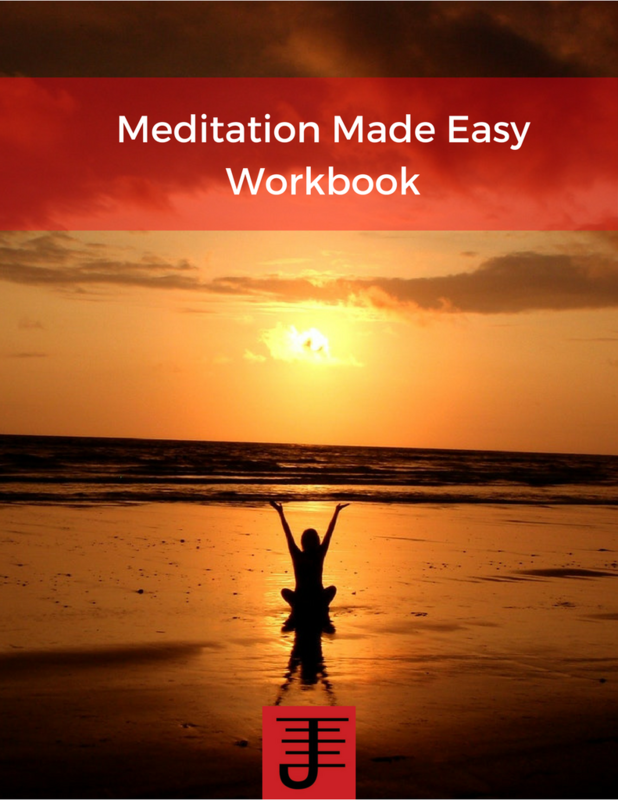 Go into a meditative state, where you then visualize a temple. In temple are rooms. Each room is about a specific topic, subject, discipline, or skill. In each room, visualize another you at work organizing and handling all the information in that room. That version of you is always present but only interfaces with the main version of you when information is needed. You can, of course, go back and visit the temple and individual rooms at any time. Every time you read a book or do an activity or whatever else, the appropriate version of you catalogues the experience and information and then makes it available whenever you next need it. There's really not much else you need to do. It's not complicated and you may find that you already have versions of yourself at work in the rooms in your temple. What you're really doing is organizing your mental space more effectively, and putting part of yourself to work so that you have the information you need, when you want it. Note: This article was originally posted on Patreon. If you'd like advanced access to all my writing (including first drafts of books), become my patron. I found this saying and I feel it applies as much to a person's spiritual journey as it does to the creation of a great business. So much focus is on the journey that we sometimes forget how important it is to simply be present for the experience. Knowing who you are (as best you can) provides a guiding light for your journey, a north star as it were that keeps you on course during your journey. I think that what makes the journey meaningful is the experience and that experience is meditated by your identity, that awareness of who you are. So much emphasis is put on the journey, but the journey changes constantly. The one constant you have is yourself, and even that changes, but what makes it constant is that it is you, it is part of you, something you know and experience each day. The journey changes and yet it is always relative to your sense of self and as such is oriented around that self hood and how it responds to the journey as it unfolds. If you recognize this, then you can rely on that sense of self to ground you in your journey, for no matter where you go, there you are. As to how all this relates to magic and your practice of it, its a reminder that even the magic itself can't replace your sense of identity or its role in your life. Knowing who you is the essential principle of magic, because from that awareness arises the drives that inform what you are doing magic for. When you apply magic to your journey, you are inevitably applying it from that sense of self in order to bring the journey back into alignment with who you know yourself to be. At the same time, the journey may illuminate that sense of self and provide you a different perspective that consequently changes the values informing the journey. Being open to this is always useful, for no self awareness should be so static that you can't change it as needed. Your identity, while grounding your journey, is nonetheless something which should be open to change from the very experiences you have. Everything changes...when you accept that then you are open to the journey and the experience because nothing is set in stone and change is welcomed as an inevitable part of what will happen. We can't stop change, but we can move with it, and flow into it and use it propel us forward, while also steering the north star of our self knowledge and awareness. In Thinking in New Boxes, one of the suggestions that the authors make is that you doubt everything you know, or that you cultivate a state of not knowing. I think of this as the art of not knowing and what it really involves is learning to recognize that everything you think you know is a filter that can keep you from being open to what you could learn. I practice the art of not knowing every day and it has helped my creativity and appreciation of the world immensely. Not knowing allows you to move out of your comfort zone (which is what you "know") and experience the magic of life. So how do you cultivate the art of not knowing? As the authors suggest, learn to doubt everything you think you know. What you know can entrap you because while it seems to provide a sense of certainty about the world, what it also provides are filters for your experience of the world. By doubting everything you keep yourself open to experiencing the present as it is, without holding onto preconceptions that could hold you back from being fully present. Something else that I do is continually cultivate curiosity. I'm curious about everything. I don't assume I know everything, but rather constantly ask questions and test what I think know because I'm curious to see what I'll discover. By being curious I allow myself to not know and use that not knowing to artfully uncover the mysteries of the universe. Another way that I cultivate not knowing involves experimenting with what I'm learning about. I never take the authority's word for it, but instead test it myself to see what I can discover. Sometimes what I discover is what the authority has shared and sometimes I discover something else entirely. Whatever it is that I discover, I keep myself open to discovering it by allowing myself to experiment and test, instead of just accepting something as known. Assume nothing, know nothing and allow yourself to use not knowing to keep you in a place of curiosity, inquiry, and experimentation. You'll discover a lot more and have a lot more fun. Nick Farrell recently posted an intriguing article about why magical rituals fail. He'd decided to play devil's advocate and post on Facebook about a magical failure he'd recently had occur and he wanted some input, but he also wanted to explore how people justify failure in magic. He wasn't the only one to weigh in on this topic, but I'll cover what other people said further below. For the moment I want to address what Nick had to say about the topic. Nick noted that people offered him a few suggestions for why the ritual didn't work. The suggestion I offered was one that involved technical issues: or as Nick put it: "Your ritual was badly written or performed incorrectly". The next explanation was that God (deity of your choice) or your true will or your higher self or the universe forbid it to work. The final explanation was that you blocked yourself on a subconscious level from attaining your goal. Nick noted that this explanation had some validity, but argued that if someone else did the ritual for you, then the ritual should've been successful. Nick went on to argue that perhaps the reason the working failed is because some possibilities are easier to manifest than others are (I agree with him) and that what might be needed is that you do the ritual multiple times to prime the pump. If it doesn't work the first time, add some more power into the mix (again I agree with him on this point, and have approached magic that way myself on occasion). However while I do agree with his reasoning for why magic fails, I think it's worth exploring in more detail some of the issues he mentioned above. Like Nick I agree that attributing the failure of magic to a higher being, the universe, your highest self, or your true will is dodging the issue. It's a rather fatalistic perspective that simultaneously allows a magician to avoid taking responsibility or look too closely at the magical process. It's not my responsibility if it doesn't work, so I'll just foist it off on some higher power or my true will or the universe. If such a power is really against you, then perhaps its time to look into why that is the case and take appropriate actions to deal with the situation, instead of allowing it to persist. I do think your subconscious can work against you, and I'd argue that if you genuinely believe you don't deserve something no amount of enchanting by yourself, or others, or even some higher power will change the fact that some part of you is actively working against what you think you want. Nick argues that other magicians should be able to enchant successfully for something that he wants, but just because they don't have those issues, doesn't mean that his subconscious won't work against the result. And while Nick argues that the point of magic is supposed to help you overcome these kinds of problems, I think one of the reasons magic fails is because the magician hasn't done the necessary internal work with his/her subconscious to know what s/he truly wants. Why else do people raise their hands and admit that they'll get a result, but then have it only be short term before they are dealing with a similar issue or before it goes away? The truth is that an unexamined desire is one that is rife for sabotage. The point of overcoming problems is that first you deal with the internal beliefs around the problem and then you do magic because your house is in order. If you don't do that, it doesn't matter if you call on an angel, demon or god, because even if they are trying to help you, you are working against yourself, and that block is powerful enough because it expresses the fundamental connection of your identity and its relationship to the world. Until you change the internal, the external will reflect exactly what you fundamentally believe you deserve. Dean Williams offers an excellent example of why others working magic for you will still fail, and aptly notes that you have to want something more than you fear having it. I personally prefer to work with the fear, and turn it into a resource that actually helps you get what you want, but the point is you need to be in alignment with what you want before you get it. As an aside, Donald Michael Kraig argues that assigning blame is counter-productive to magical effectiveness. I agree with his points, especially where he notes that taking a positive approach and examining what could be done differently is more useful than assigning fault, but I also think it worthwhile to examine what someone did or didn't do...not to blame, but to understand how what was done didn't work. I mention this here, because if we examine subconscious blocks, what we often find is that they are messages others or we ourselves have assigned. So we need to understand how fault, in and of itself can play a role in why magic isn't working. There is the first reason that Nick discussed about why a magic working failed: The ritual was poorly written and/or improperly performed. I've always taken a process approach to magic. A process approach examines a given magical act and allows you to analyze why it did or didn't work. By examining magic as a process you explore what exactly is or isn't working. You can even determine if your understanding about a principle of magic was faulty and also determine how to modify the working to make it more successful. 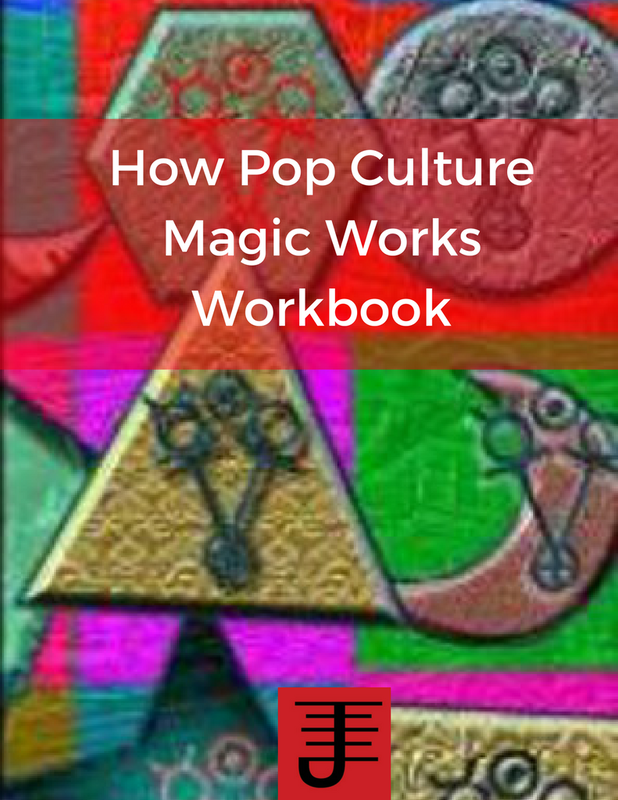 The process of magic course that I designed was put together because I recognized that too many magicians don't really understand how magic works. They do it and if it doesn't work they can't explain why it didn't work or modify the working to resolve the issue that caused the magic to not work. It doesn't help that there is one school of thought that argues that you don't need to know how magic works and yet conversely argues that you should be able to share your experiments with other people...how can you share your experiments, your process if you don't know HOW magic works? The point of exploring the technical issues is that you really do examine all the components of your magical working/ritual and you then determine what was missing from the equation. Maybe it was your subconscious working against you, or maybe you didn't adequately understand how a given technique of magic works, or perhaps you didn't draw on the right resources or maybe you didn't specify when or how the magic should manifest or maybe you need to put more oomph into the magic and do the ritual several times over to build up the necessary momentum to tip matters into your favor. And finally you may not have taken the appropriate mundane actions to help the magic along. Magic doesn't operate in a void and taking action needs to occur on the mundane level as well as the magical level. It creates the path of least resistance. By asking these questions and looking at the answers you can determine why magic has failed and more importantly determine what actions need to be taken. A real world example: I recently created a wealth entity to help me improve my skills as a sales person and help me to find the right clients. That entity can only help me if I take action. If I stay in my office and just wait for a phone call, the chances of getting a phone call will be very low. However if I go out and do cold calling and network and offer specials on my services, I am creating a path of least resistance for the entity to do its work. I have done all those actions (and more) and in the last three weeks I've either set appointments with promising prospects or had meetings with them and I am in the process of converting them from prospects to clients. My entity and magic in general can only do so much, unless I am willing to also do my part. 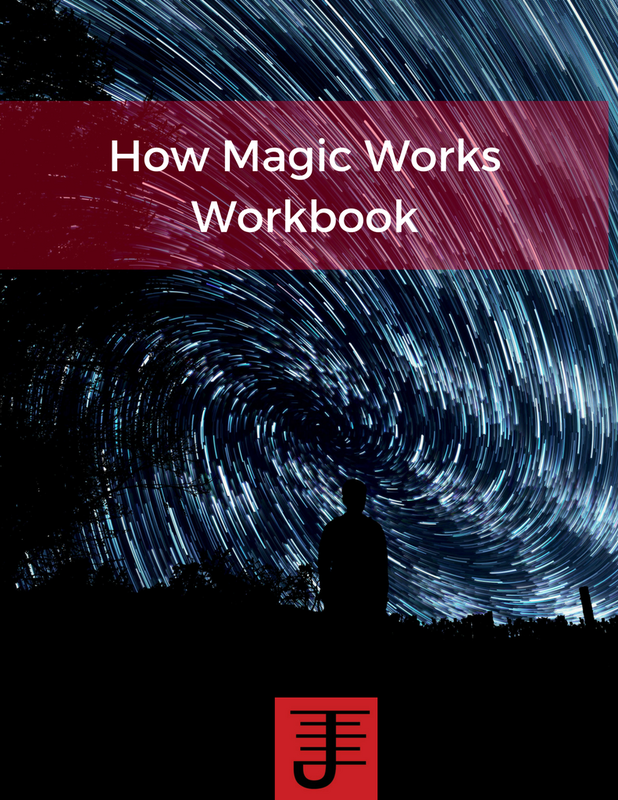 A solid understanding of the magical process helps you understand why your ritual has failed and more importantly allows you to discover what you need to do to make the magic work. Without that understanding you'll sometimes have success, but you'll also have failures and you'll be left wondering why, without being able to take effective action. Knowing the technical aspects of magic provides you the foundation to work truly effective magic on a consistent basis. 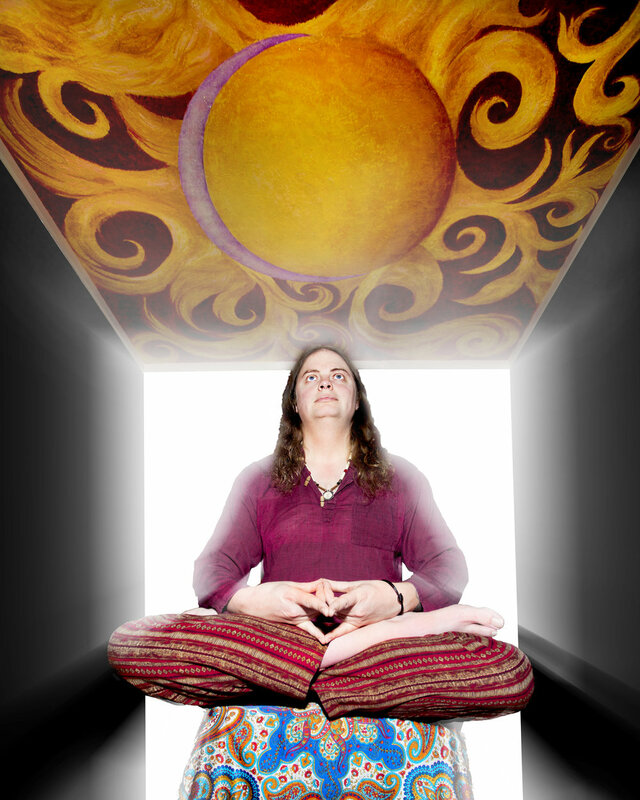 One of the messages I consistently offer to other magicians and people in general is the importance of cultivating imagination and wonder as resources for living life and inspiring your spiritual practice and overall success in life. I can't emphasize enough the importance of these resources or why it can make such a difference in your life to cultivate them, but I think that whats make them so important is how they can enrich your life. A cultivated sense of wonder always inspires the person to discover more and question what s/he already seems to know. There is no satisfaction in what is known, but rather a recognition that there is more to discover and what is discovered is seen as a gift in itself, and an opportunity to continue learning. There is an insatiable voracity for learning that is found in wonder...and the imagination feeds that sense of wonder by allowing a person to access the possibilities of what might be. Your imagination provides you access to possibilities. It shows you what might be and its only limitation is your belief or lack thereof in the possibilities presented to you. Imagination is wonderful because it also gives you a space to examine a given possibility from as many angles as you can think of. Your imagination is where the cooking starts and there's no limitation on how you can experiment with what's presented to you. Cultivate your wonder and imagination by learning and applying what you learn to your life, while asking questions. Cultivate these resources by never being satisfied with the answers. Let these resources move you to discover, explore and experiment...they'll also show you how to turn your reality into something wonderful. Expanding and contracting consciousness is equivalent to muscular exercises in bodily terms, though when we use symbols we are contracting consciousness in one world by expanding it into another, the symbol being a common link between both. Our exercises therefore, must consist of reducing the time-event extent of a mass consciousness into a single symbol...We can reverse the procedure and extract masses of consciousness from the symbol. 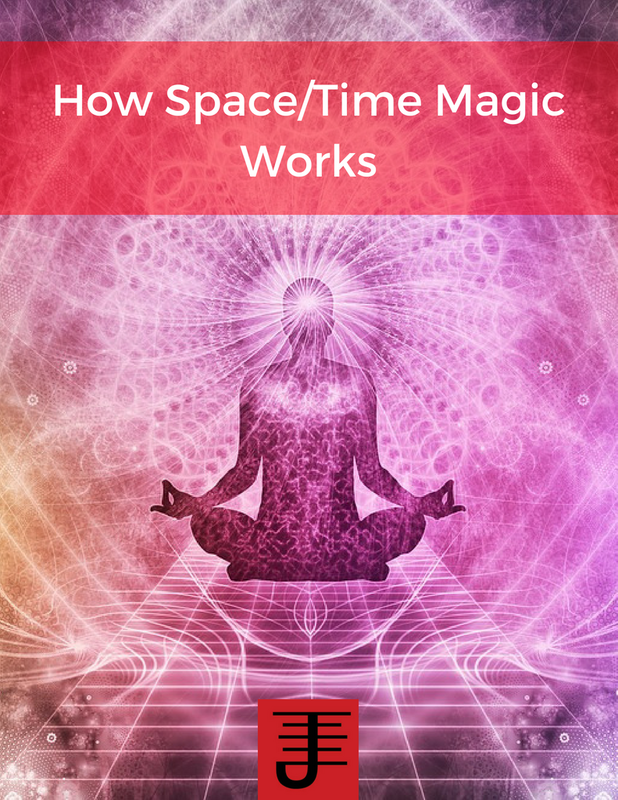 It's an excellent explanation of sigils (though Gray never used the chaos magic version of sigils), but its also a good explanation of how consciousness can be contracted and expanded through magical work. The contraction of consciousness is the ability to distill a complex idea into a symbol, and the expansion of consciousness is to apply that concept to the world. It's one of those processes that is fascinating because of how we can learn a lot about the world through the application of it to our lives. I've used the contraction of consciousness for public speaking, where I'll contract specific ideas into symbols and then when I'm speaking I'll access those symbols and extract (expand) the information. I've used the expansion of consciousness in my writing, with the idea being to pack concepts into writing and then let them expand through the act of reading them. That's actually how I approach teaching magic. Plant the seed, and then let it expand through the act of reading and application of the concepts. When we recognize that consciousness can expand and contract, we realize just how flexible it is. Consciousness isn't static, but we can purposely play a role in its changing states and apply those to magical work as well as mundane situations. Actually if you think about it, invocation is a contraction of consciousness or multiple consciousness into one vessel, while evocation is the expansion of consciousness into the world, which has its own consciousness. There's an interesting exercise where you visualize yourself becoming as tall as possible, and then keeping that visualization of tallness in place, you visualize another you becoming as small as possible. One fits into the other and you contemplate them together. When you can hold that concept pretty well together in your mind you understand contraction and expansion of consciousness.